Backside is light blue suede, mostly nice, but some pieces might have a stamp or some fleshings or other marks on it. The product is exactly as pictured, and the shipping was quick. I would recommend this store to friends. 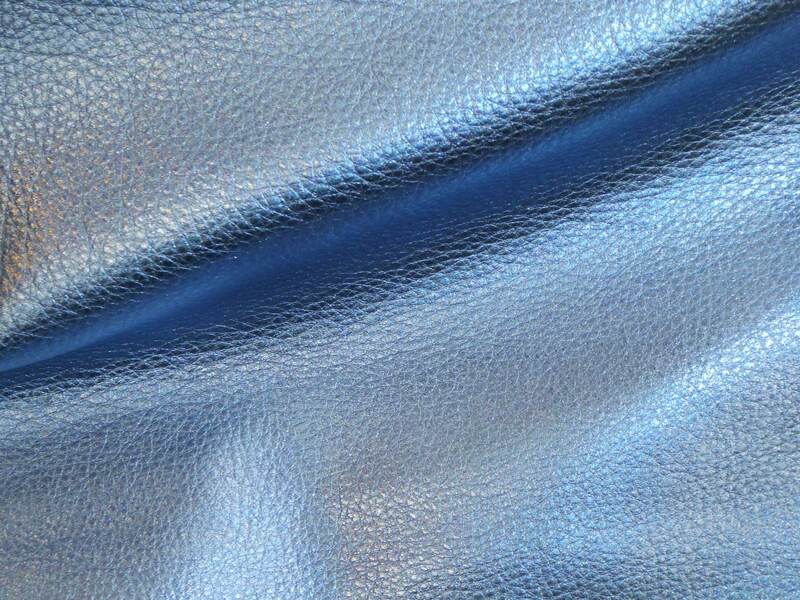 I sewed a pair of small matching bags from this pretty pearl blue cowhide leather. It is very nice to sew with. Nice feel,good thickness, rich color and texture. 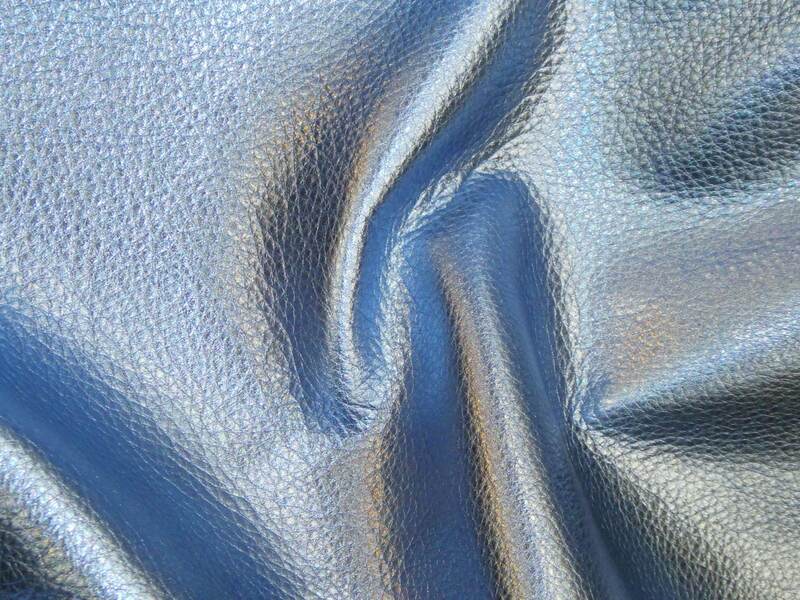 The Pebbled Metallics are very nice quality.